Long time VRBO with fantastic reviews from happy guests, under new ownership and committed to providing the same positive experience! Large 1-Bedroom - professionally decorated, outdoor living space, modern, hip, clean, comfortable and private!! One of a few properties in the area that has been permitted and approved by the City of San Clemente for short term rentals and VRBO. 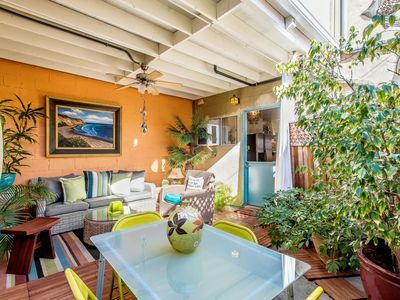 Beach style Dutch Door leads you into an adorable and private apartment from your charming patio, with dining for 6. 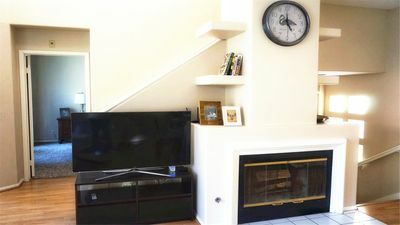 For days when you don't feel like heading to the beach, enjoy a 37" HDTV Flat Screen, DVR, modern (and very hip) electric wall fireplace, gorgeous high end custom art, great furnishings, a chrome 1960's circa Swedish mid-century dining set, new high end wall air conditioner unit, sectional sofa, recliner chair, ceiling fan, recessed lighting, fireplace and TV. All have remote controls for your ease and comfort!!! 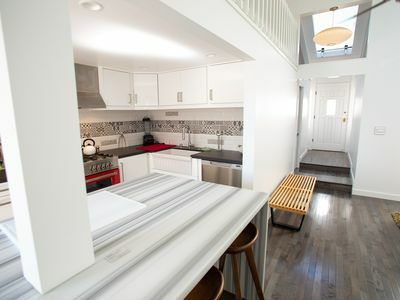 Open floor plan which offers a FULL Kitchen (very 'beachy' and cottage style) complete with large stainless frig, micro, full size oven/stove, floating shelves, recessed lighting. Very well stocked... Spices, coffee Filters, etc. French Doors lead you into a cozy master bedroom retreat. Mirrored night tables, recessed lighting, ceiling fans, leather padded queen bed with down comforter and high end bedding. A very peaceful retreat that is very comfortable and quiet. Comfy Serta Queen Bed, TV with remote. Bathroom is very Pottery Barn Feel!! 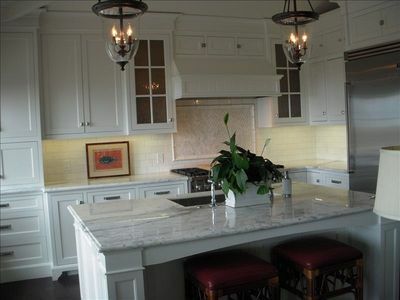 Beautiful chandelier, glass floating shelves, stand-up 4-ft shower (no tub) pedestal sink, 1920's style white floor tile. White FLUFFY towels, toiletries. So comfy!!! 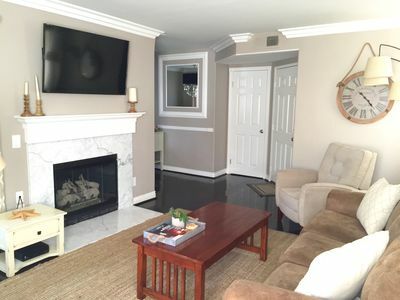 The previous owners took great care in restoring this historic building and creating a fabulous vacation getaway close to the beach, train station, trails, local restaurants, and many of the wonderful treasures San Clemente has to offer!!! MORE cost effective than a hotel room and so much MORE to offer. 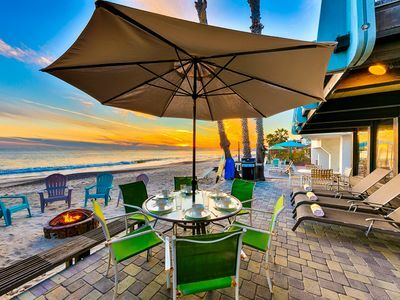 Your private oasis by the beach awaits you! Monthly rentals available by special request. FANTASTIC VALUE AND REASONABLE PRICE!!! If you LOVE artistic, unique, private, positive energy, happy, super clean, cool, and comfortable then this is for YOU! NO COOKIE CUTTER HERE!!! VERY UNIQUE!!! 6. Large Private Outdoor Living Space! Our garage is on an alley... she isn't pretty but she takes you to our garage... which is good, right? 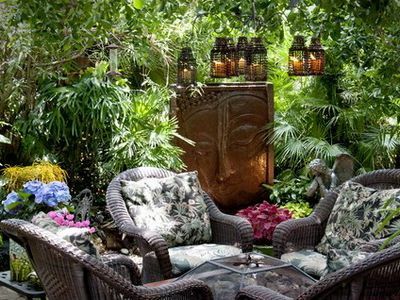 But once you enter the garage, then into your adorable and private patio... you are in your own snugly sanctuary!! That choice will not have an enclosed garage, will be further from the sand and you'll pay PREMIUM PRICES for a 'Typical Well-Used' and Sparse vacation rental with little charm. Knowing your car is safe and secure in our 2-car garage, then welcome!!! You are in for a Treat!!! -- 3-minutes to train station! 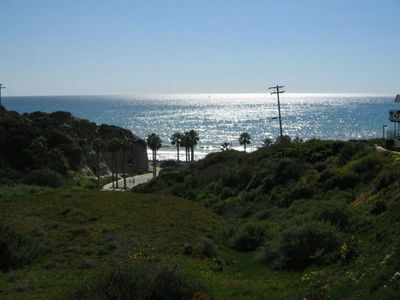 -- 3-minutes to beach trail! -- 1-minute to take-out sushi! -- 1-minute to bakery for fresh bread, gourmet salads, sandwiches! Our building is a FULLY enclosed, private enclave with 2 Units... Each has separate entries, patios, living spaces... Both afford privacy and really unique living spaces!!! 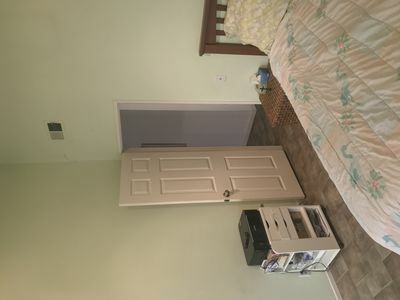 This is a very unique, cute, clean garden apartment (on ground floor, no stairs!!!) It is very private, clean, professionally designed and decorated with NEW COMFORTABLE and stylish furnishings and appliances. 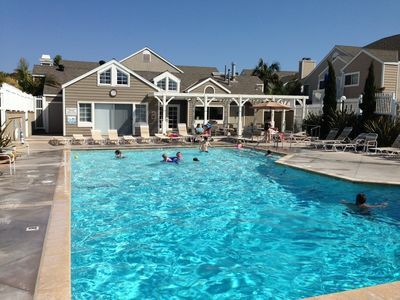 We are continuously updating, replacing and adding to make our beach getaway VERY comfortable for our guests. We appreciate our guests and love that they take great care when they stay here. We have an OUTSTANDING team that does an Excellent job cleaning, managing and making quick repairs when needed. We are very hands on with the maintenance and upkeep of our special property. Our upstairs Unit # 1337665, which was decorated by a world-class designer, is just as unique. We LOVE our space and know you will too. 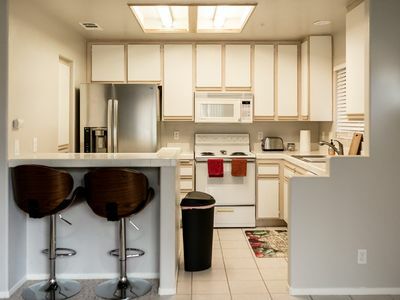 Excellent for Honeymooners, Anniversaries, 2-family (or friends) vacationers renting upstairs (VRBO # 1337665) and downstairs units to provide together and alone time!! We own the entire building - it's fully enclosed once you enter the garage or gate - A Mini Vacation Compound! 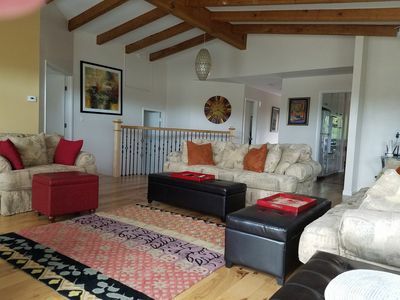 BOTH have separate entrances, patios, living space, indoor laundry facilities, kitchen, etc. The only thing that is shared is the garage. Our building offers privacy from the outside neighbors, like a mini vacation compound... We offer our guests many amenities. It is a peaceful spot. Very close to Family Friendly North Beach, the train station, the Historic Ole Hanson Swim Club, and the beach trail that takes you to the pier and beyond along the coastline!! 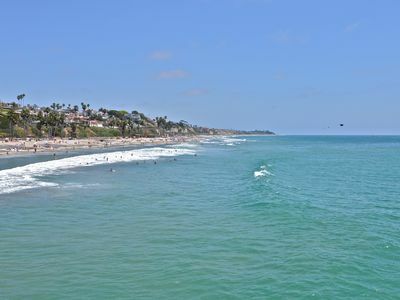 This is the PERFECT Location if you want the BEACH LIFE WITHOUT THE NOISE, Traffic, Late Night Summer Party Noise at the Pier Bowl... North Beach is Family Friendly and the beginning of San Clemente's coastal beach trail. 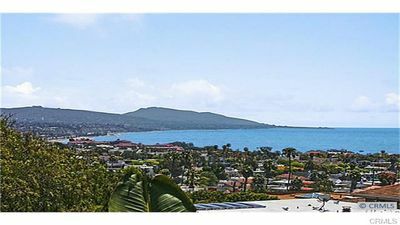 Beautiful Spacious Beach House With Gorgeous Ocean Views, Pool & Spa! 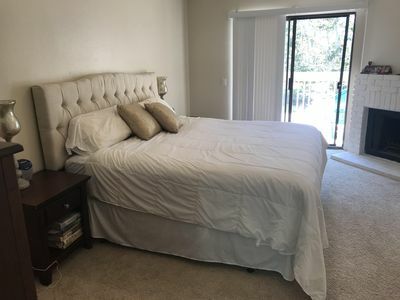 Spacious Modern Condo With AC & Rooftop Deck. 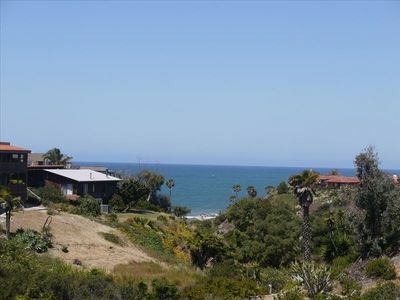 Near Trestles Beach Surf Spots! Great location in the complex! 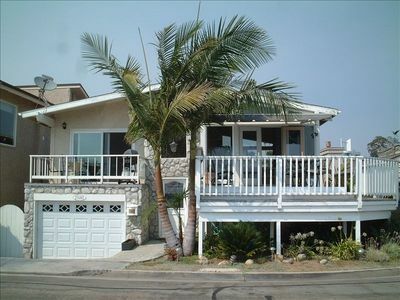 Decks Galore, Spacious and Walk Everywhere! 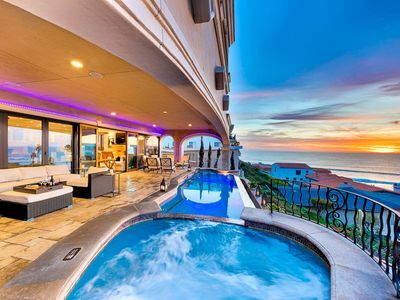 One of a Kind Ocean View Home. Walk to the Beach & Village. 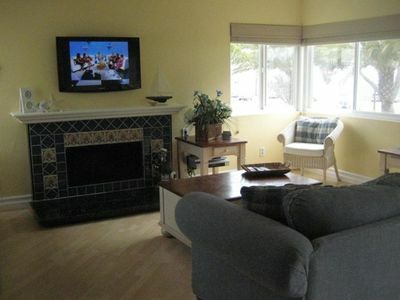 Beautiful Beach Condo, A Home Away From Home, Sleeps 6! Accommodation for 1 traveler sharing house with owner. 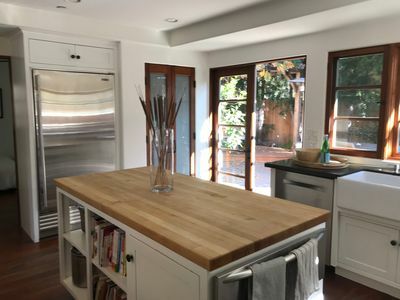 Newly remodeled modern home 1300 ft. from sand in heart of the Hip District. Sun-drenched 2B1B condo, Irvine getaway.